I keep hearing fireworks around the neighborhood even though the holiday is over. 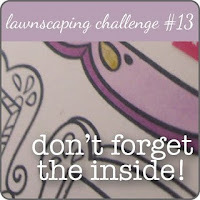 But speaking of Popping, did you see the new Lawnscaping Challenge? The theme is "don't forget the inside" and all the DT made awesome cards that pop out on the inside. You should really check them out. Unfortunately I don't have a cool die cut to make those pop out pieces so I reverted back to my college days and the world of model making to fashion a pop out structure of my own. After one practice piece it was a success! Oh this is adorable! It will sure to put a BIG smile on someone's face! The hats are the best! Very cute! 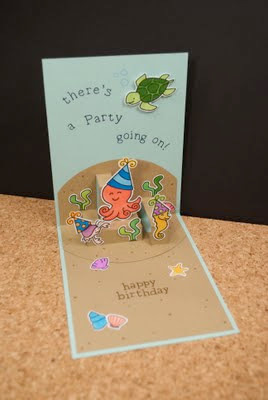 Love the party scnee you have created with the hats, sand and adorable ocean critters! love it! that is so, so cute! How many ways can I say - POP POP POW FABULOUS! 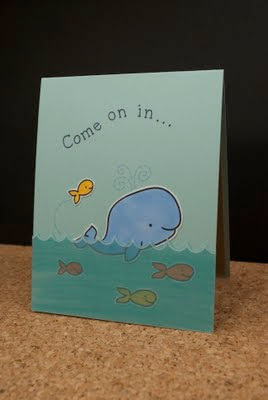 Truly a card with a hidden surprise - SO DARN CUTE! Fabulous work! I love the underwater pop-up scene that you created inside! Everything looks fantastic! Holy crap Chari! This ROCKS!! I don't have the die either. I'm gunna have to get old school too ;). Great, great card!! It turned out so great!! This is just so fun! 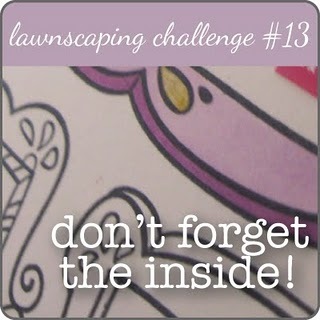 Love the inside =) TFS! This turned out SO AWESOME!!! 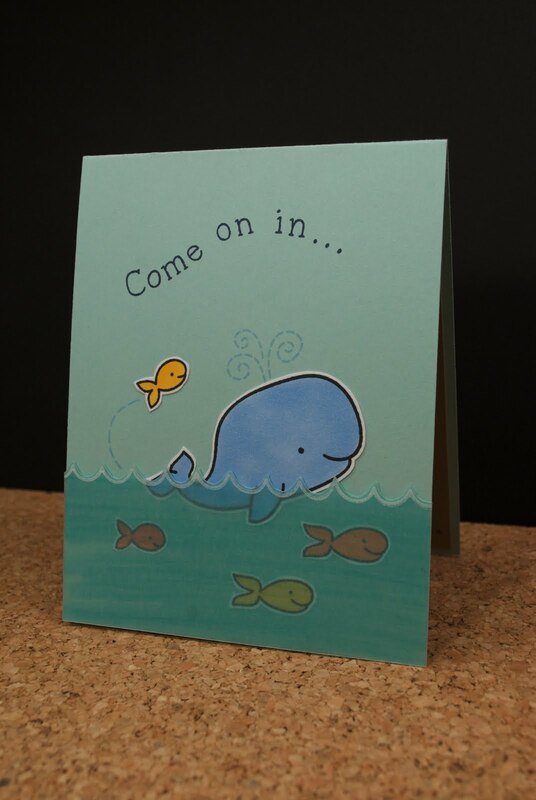 LOVE the little fish jumping out of the water on the front of the card, and the inside is just AMAZING!!!! Fantastic job on this, Chari!!!! Wowzers Chari! Just wow. LOVE the underwater scene you have created both on the inside and out! Just love! This is amazing - what a great pop up card. a superb surprise for the recipient.